(18/P025) TRENTON – The Department of Environmental Protection is advising the public that a study calling for applications of reddish dye in the upper Delaware Bay is planned for the week of April 9. Weather permitting, up to two dye applications will be made in the upper bay in Salem County to measure water flow and dispersion in waters used for harvesting of shellfish. The DEP utilizes a classification system that regulates the harvest of shellfish that is based on water quality. The goal of the dye study is to help determine if portions of the upper Delaware Bay, where oyster beds are located, can be upgraded. The study will further help the DEP implement management strategies to enhance protection of oysters. Dye applications will start near early morning high tides. Each application will continue for approximately 12 hours until late evening. As a result of the dye applications, portions of the Delaware Bay, Stow Creek and Mad Horse Creek may turn reddish in color. The dye will be pumped into the bay from a point on land near Stow Creek. The extent of discoloration could be fairly widespread but will disperse. The study is known as a hydrographic dye dilution study and is conducted in conjunction with the U.S. Food and Drug Administration to aid in the classification of shellfish harvesting waters. Stormwater runoff from uplands and wetlands inhabited by wildlife affects the quality of water in the bay. The Rhodamine WT dye used in the study is not harmful to people or the environment and is used commonly in water-quality and dispersion tests. Information collected during this study will be used by the FDA and the DEP to evaluate potential water quality improvements that would result in a water classification upgrade. 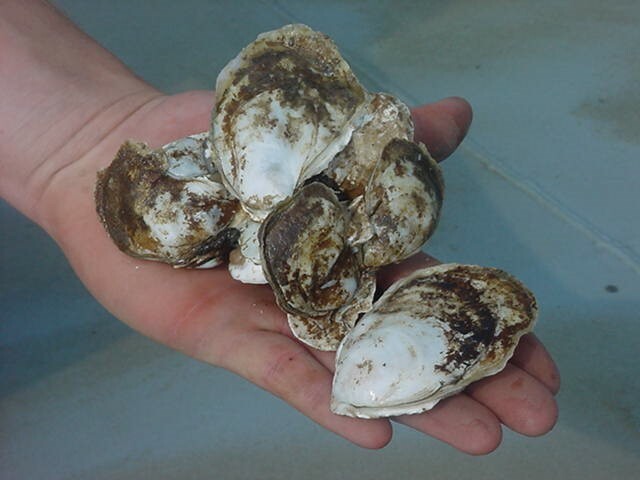 The DEP’s Bureau of Shellfisheries and Bureau of Marine Water Monitoring manage and protect more than 720,000 acres of estuarine and ocean beds used to raise clams, oysters and mussels for public consumption. The DEP works closely with the FDA and New Jersey Department of Health to ensure the safety of shellfish brought to market.